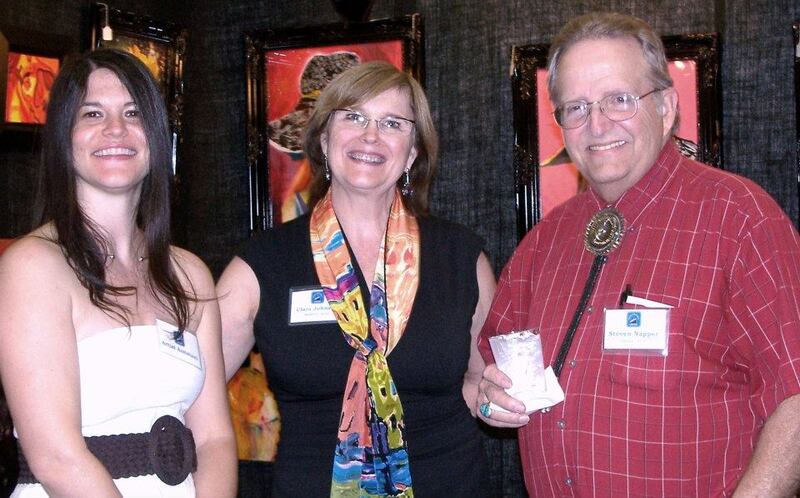 This year I was selected to have a booth at Celebration of the Arts in Midland, Texas. It was a great experience. Family and friends were there to support me ... so it could not have been better. 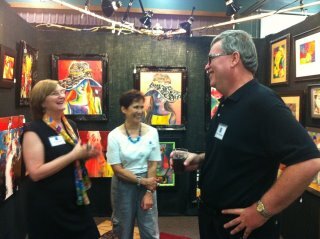 I enjoyed talking with patrons of the arts and hearing what they had to say about my work. I sold a few paintings to people who really seemed happy to invite my artwork into their homes. Here are a few photos from the event. 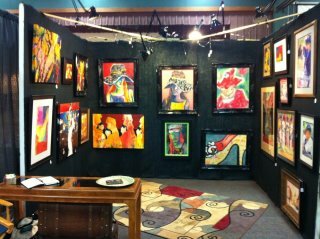 Walton's Garden Center --- What a beautiful setting for wine and art! Thursday - Sept. 25th 5:30 - 7:00. Wearable Art ....everyone wants one!!!! Artscape 2014 at the Dallas Arboretum .... a few pictures from the Friday Night Preview party! !